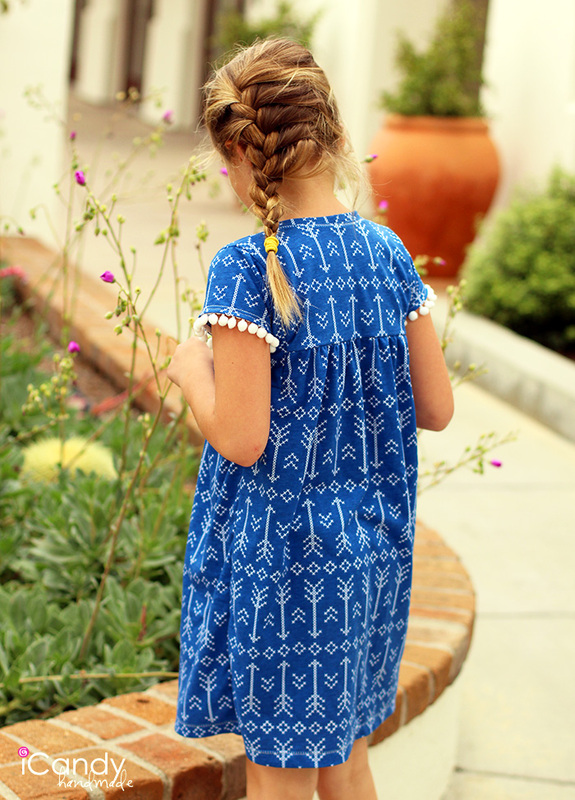 I am so excited to share with you a dress that has been a long time in the making! 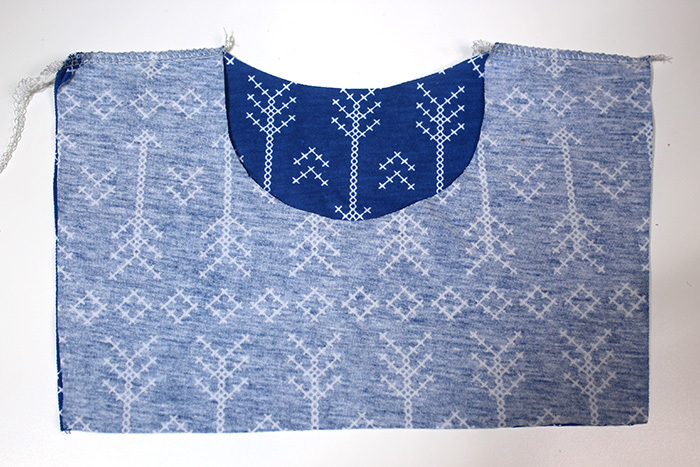 And finally finally I drafted the pattern, made the dress, and am sharing it with you. She was so excited about the pom pom trim. 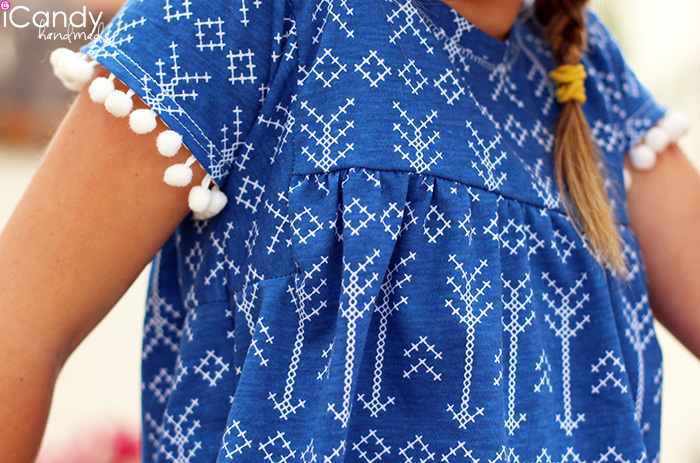 You could chop off the length and make a cute boho top too… that’s also on my list to make! 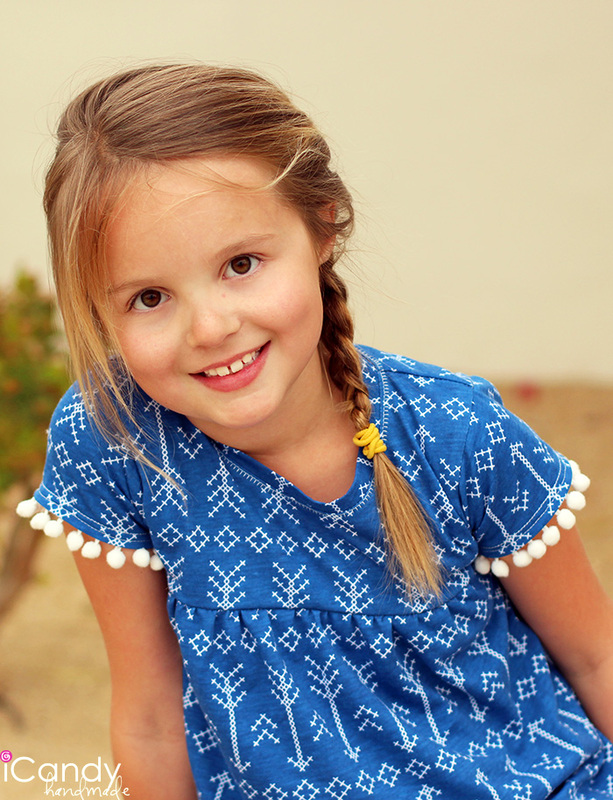 All in all, one of my more successful dresses I have made in a while… at least according to this 9-year old. She’s quite happy with it. 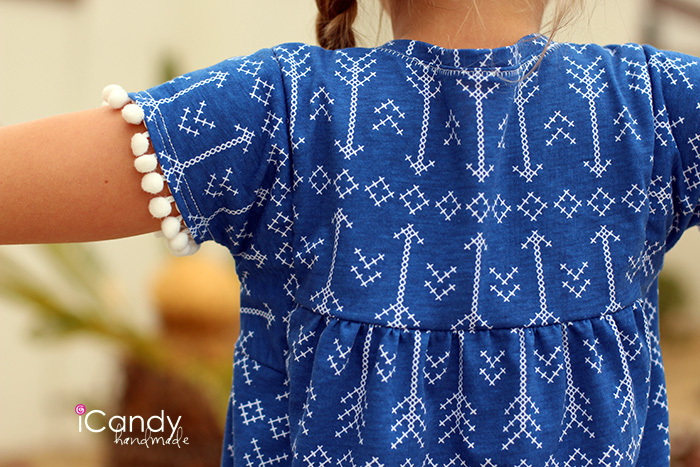 The pattern is a girls size 6-7, but because of the loose style, you could probably stretch the sizing down to a 5 or up to an 8. The dimensions for the neck band are on the pattern. Please note- You might need to decrease or increase the length depending on your knit. The knit I used was of average stretch. If your knit is not very stretchy at all, you might want to add an inch. 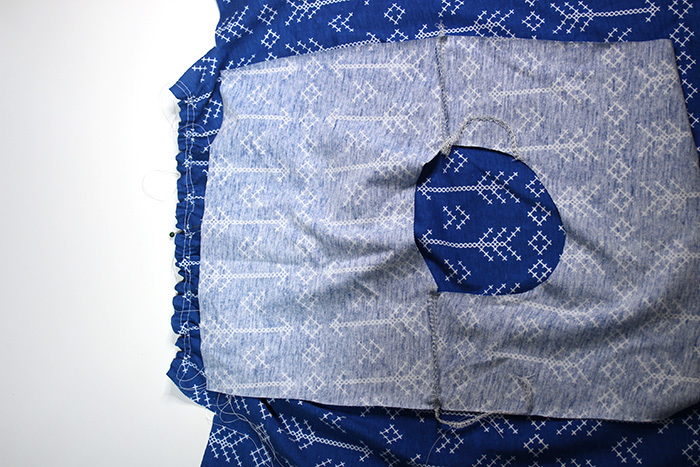 If your knit is super stretchy, you might want to remove an inch or so. With right sides together, using a 1/4″ seam allowance, stitch the front bodice and the back bodice together at the shoulder seams. 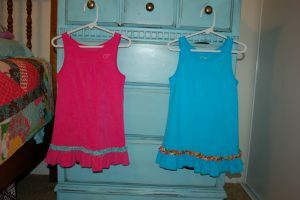 You can use a stretch stitch or serger. 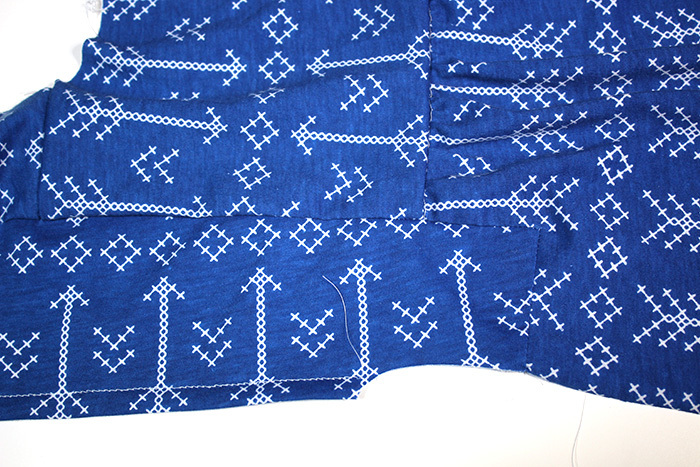 At the top of the front and back skirt pieces, sew two rows of gathering/basting stitches. 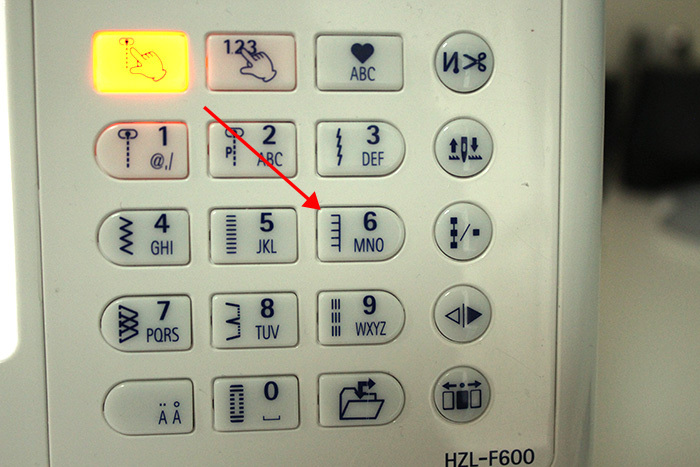 (The largest stitch length on your machine.) Make sure you leave the ends of the threads long for pulling. 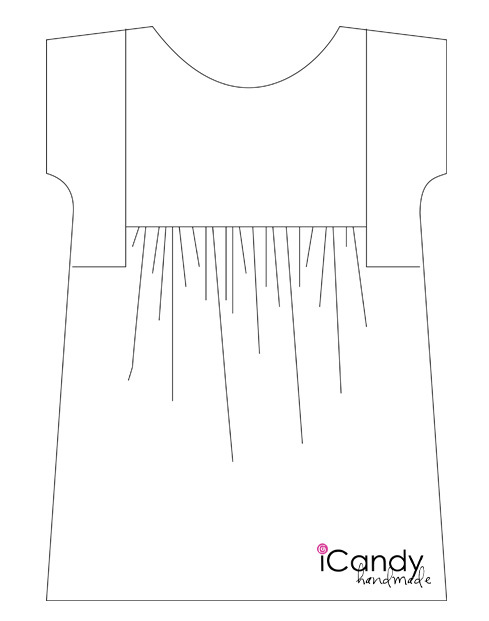 Before pulling the threads to gather, mark the centers with a marking pencil or a pin. Mark (not shown) the center of your bodice pieces. Lay one side of your bodice on top of your gathered skirt portion (RST) as shown. Match centers and side edges and evenly space the gathers. Pin into place. 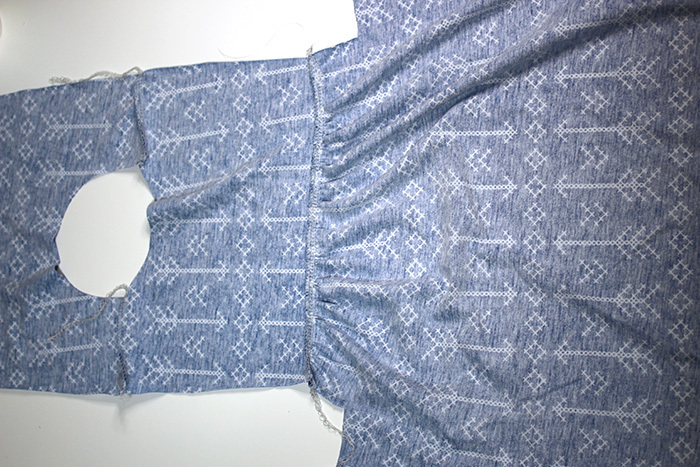 With gathered side facing up, stitch skirt portion to bodice. 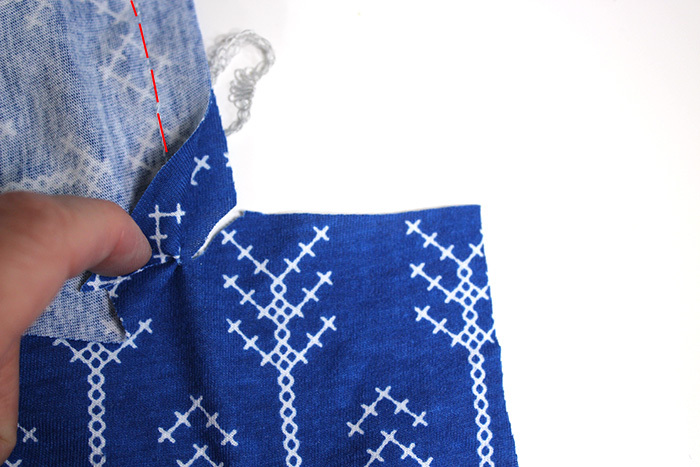 Use a 1/2″ seam allowance for this seam. Repeat with the other skirt/bodice pieces. Pull out basting threads. 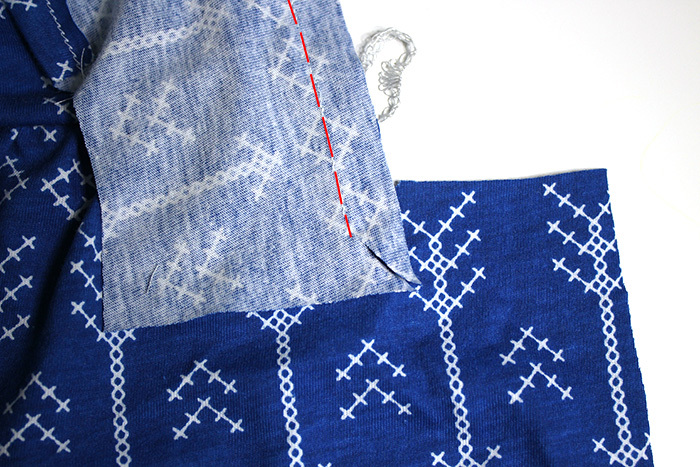 Trim and finish your seam with either a zig zag stitch, overlock stitch or serger. Hem your sleeve. 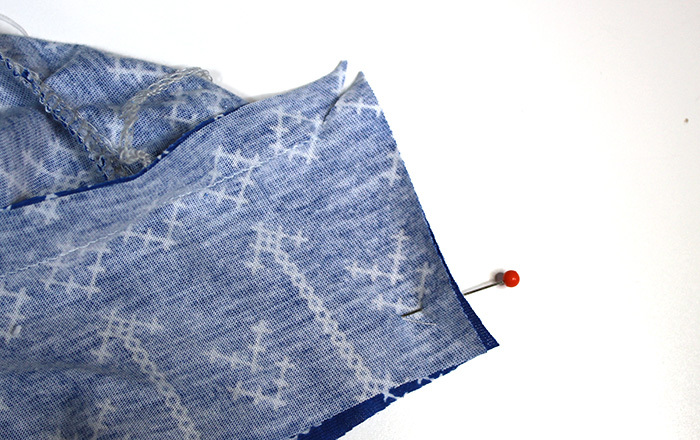 Just fold over 1/2″ to the wrong side of the fabric, press and stitch with a stretch stitch. Mark the center of your sleeve pieces. (There is a slight angled point) With RST, match that center to your shoulder seam and pin. Pin all the way down past the gathered seam. Repeat with other side. The hem will be toward the neckline. 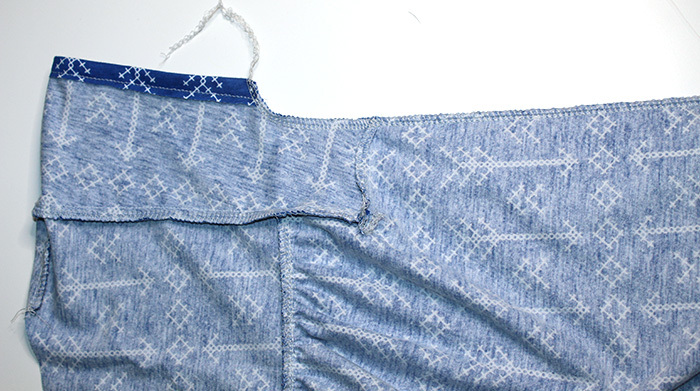 With a 1/2″ seam allowance, stitch all the way down that seam, stopping 1/2″ from the end of the sleeve. Backstitch to secure your seam. Clip the sleeve from the outside corner to about 1/8″ from the end of your seam. 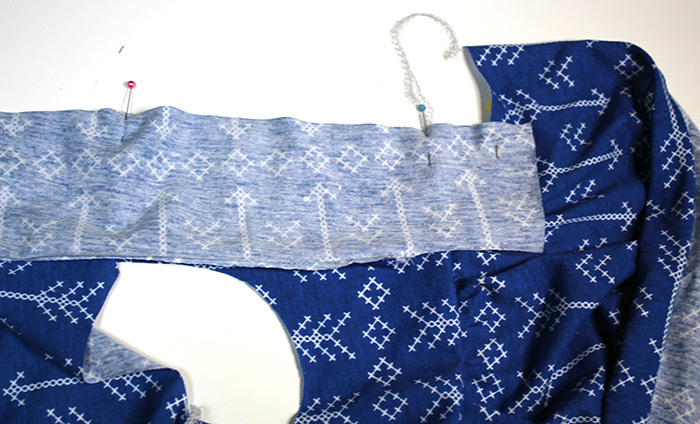 Lift up the sleeve piece and clip your skirt piece from the inside corner to 1/8″ from the end of the seam. Pivot sleeve around so the two small sides match. Pin edges. Stitch from end of seam where you clipped to the edge. Trim/finish seam. 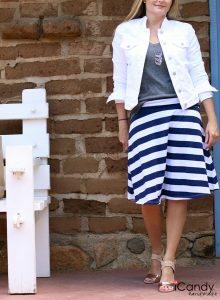 With RST, line up the side seams from the bottom of the sleeves to the hem. Pin and stitch, trimming and finishing seam. With RST, stitch the short ends of your neckband together. Fold in half horizontally and press. Mark your neckline as well as the band into quarters. 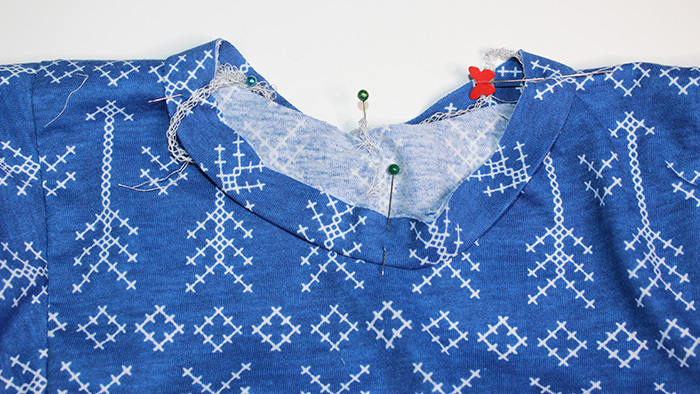 With marks matching, place your neckband over your bodice. 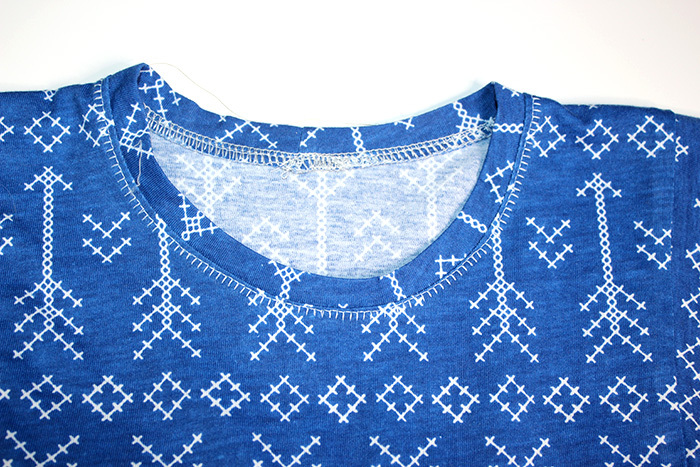 The raw edges of the neckband will match up to the raw edges of the neck. Pin into place. Your neck will be larger than the band. 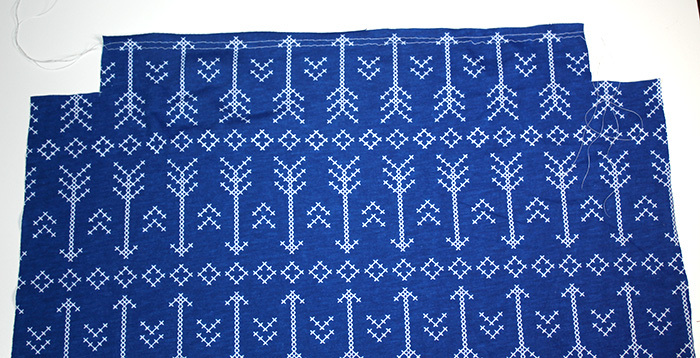 Stitch, 1/4″ away from the edge, using a serger or stretch stitch, stretching the band as you sew. Optional: Topstitch around the neckband. I used this fun stretch stitch for a decorative look. Press neckband well, using steam. 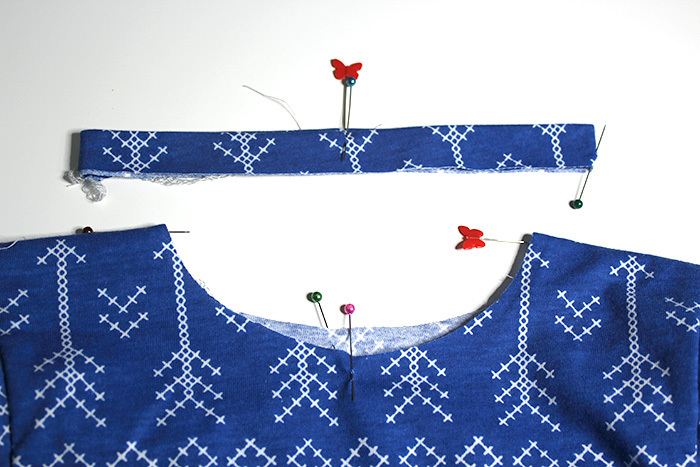 Hem the bottom of your dress with a stretch stitch or double needle. I can’t get the subscribe to work. Really would like the above pattern and to see what else you have. I recently purchased the girls Boho dress but just discovered I did not cut out the neck band. R unable to send that pattern page to me in the size six? 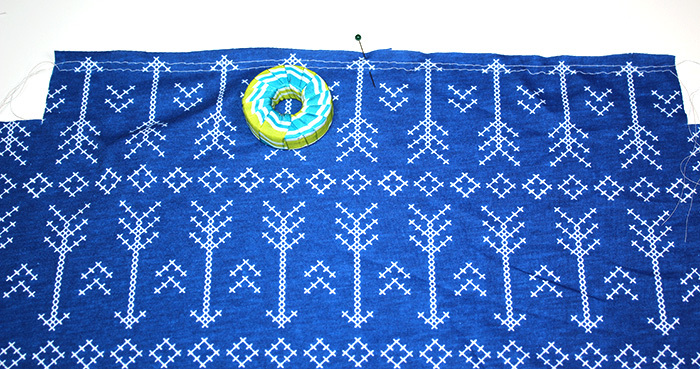 I would like to subscribe to your web site and I would also like to receive the pattern to the cute BoHo dress. matter but usually folks don’t talk about such topics. 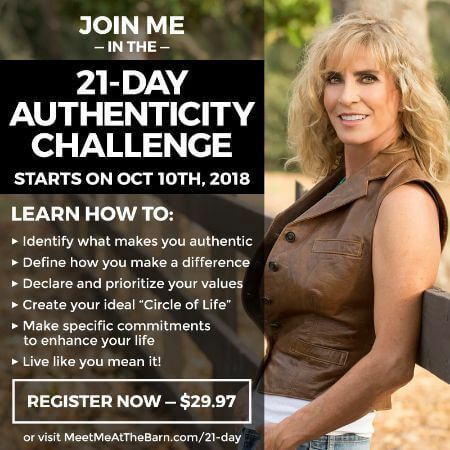 Looking at your blog post I browsed your internet site a little and noticed you aren’t ranking nearly as well on the internet when you could be. I possess a handful of blogs myself but you need to use speed rank seo, just search it on google. 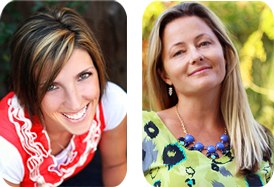 You’ll find it’s a very nice service that literally brings you a large number a boost in traffic. Maintain the standard posts! 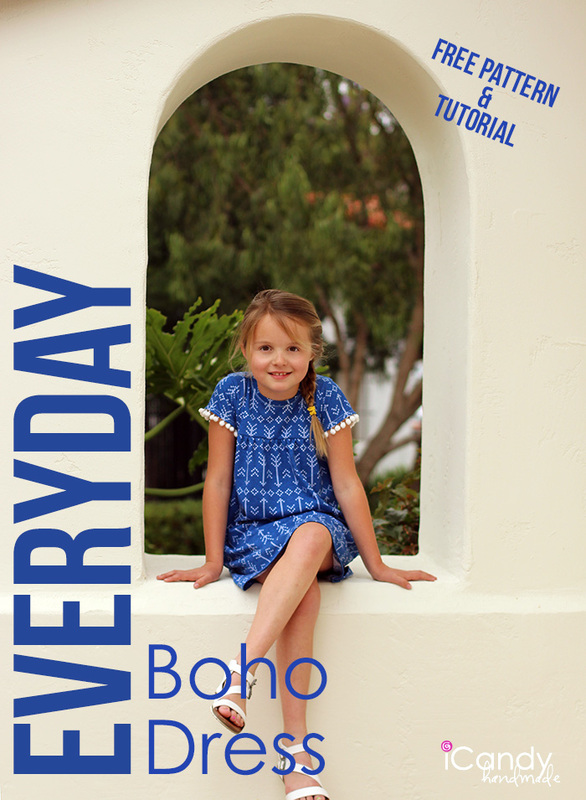 Does the BoHo dress have to be in knit? job, hаve a nice day!